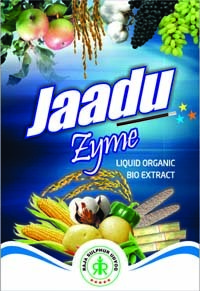 Contains essential compounds mixtures derived from nature. When applied on plants, it gives necessary nutrients to help the plants in their over all health and growth. It helps the plant to absorb other soil nutrients easily. Can be used by either mixing with other soluble fertilizers, spray directly or drop irrigation methods. Appearance : Completely water soluble transparent liquid. Packing : 100ml, 250ml Bottles.